If your dog shows any of these signs, read on about Sileo, that was just released for noise aversion in dogs! Sileo, designed for pet owners to administer before or at the time of a fear or anxiety-eliciting noise stimulus, is the first FDA-approved treatment specifically for noise aversion. 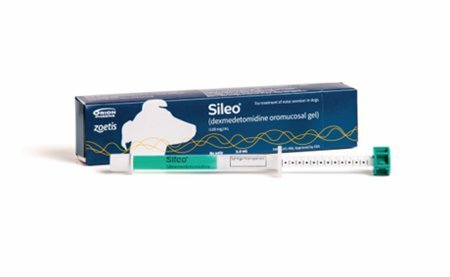 Sileo is a commonly used sedative used in veterinary medicine called dexmedetomidine, but now it’s available as an oromucosal gel for pet owners to use at home. 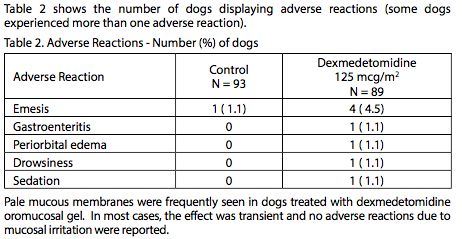 It’s the first and only medication approved by the FDA for treatment of noise aversion in dogs (e.g., thunderstorms, July 4th fireworks, parties, summer BBQs, construction work, gunshots, etc.). Veterinarians can now prescribe Sileo, which can be safely administered at home by pet owners to help calm dogs without causing sedation during noise events. 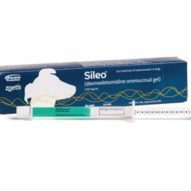 Sileo works quickly, typically taking effect within 30 to 60 minutes after oral transmucosal (gum) absoprtion. This way, you can time it during a storm for the right duration of the nose event. This sedative works by keeping your dog calm yet “fully functional” (per the Zoetis website). First, how do you pronounce this new drug? 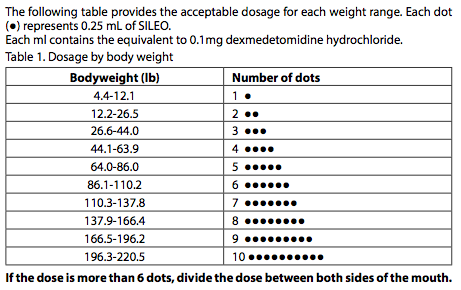 The dosing for Sileo must be given carefully, as this drug is not meant to be swallowed! It’s meant to be absorbed across the gums, so make sure to follow the directions carefully below. Sileo comes in 3 mL syringes, with a dosing ring and cap. The dog dosage is 125 mcg/m2. When applying it, make sure to place the gel between the dog’s cheek and gum and allowing for oral transmucosal absorption. Each dose lasts between two to three hours. Sileo can be re-dosed as needed every two hours, up to five times during each noise event. You can also read the product label here. For important safety information and additional details, visit the Sileo website. Please also see new updated information from the FDA here on accidental overdosing – please make sure you use the syringe carefully! I was ready to get this from my vet but read that it has to be used in 2 weeks. I would be wasting 4 to 5 doses then. Then needs to be a better way to administer this and be able to save the unused portion until needed. I was very disappointed.